EDTA solution to eliminate non-specific amplification. EDTA, potassium EDTA or sodium heparin are recommended. discard the water and use the disc directly in PCR reaction. mM DTT, 50 % glycerol and 1 % Triton®X-100. recovering aqueous supernatant from blood cell debris that remains after PCR. 6. Up to 10% (v/v) DMSO can be used for high-GC targets. TaqMan assay in the following instrument. mix generates PCR products with 3'-A overhangs. PCR amplifications with high reproducibility. Store all components at -20 °C in a non-frost-free freezer. 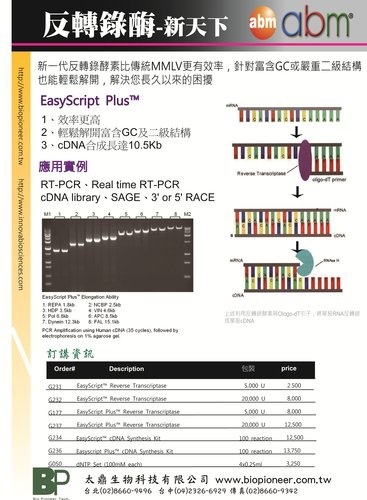 Application Safe Detection of dsDNA, ssDNA and RNA in agarose gels. with EB. After the electrophoresis, view and document your results as you would do with EB staining protocols. 2. Mix gently without having any air bubbles. 3. Let the solution cool down to 60-70°C and cast the gel. 4. Mix samples and DNA markers with a SafeView™ dye at 1:5 dilution rate. 5. View the results under UV light after electrophoresis. Notes Dispose Safe-White™ as you would any other non-carcinogenic fluorescent dye (eg. Acridine orange; Propidium iodide). The introduction of HarlequinTM chromogenic media, the company´s development of ISO compliant media formulations for food industry testing, and the provision of services such as the SMART QA Proficiency Testing scheme have all confirmed Lab M´s leading position. Lab M also supplies bulk peptones, extracts and other raw materials to pharmaceutical and large-scale fermentation industries, in compliance with current EDQM certification. Custom-designed and custom-blended products are also a speciality. 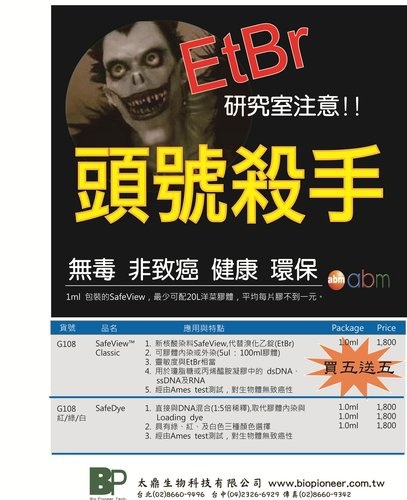 SafeView™ products represent a new and safe class of nucleic acid stains for the visualization of double-stranded DNA, single-stranded DNA, and RNA in agarose gels; a great alternative to more expensive SYBR® Safe or toxic Ethidium Bromide from other competitors. 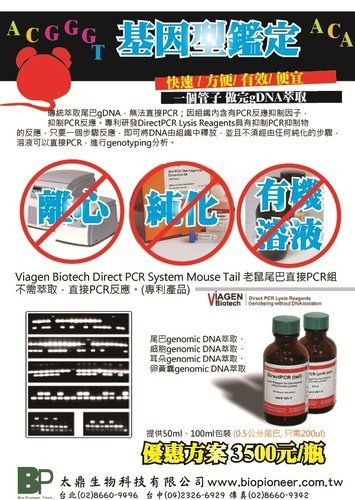 The dyes are developed to replace toxic Ethidium Bromide (EB, a potent mutagen), commonly used in gel electrophoresis for visualization of nucleic acids in agarose gels. SafeView™ products are non-carcinogenic by the Ames-test. The results are negative in both the mouse marrow chromophilous erythrocyte micronucleus and mouse spermary spermatocyte chromosomal aberration tests. Dispose Safe-White™ as you would any other non-carcinogenic fluorescent dye (eg. Acridine orange; Propidium iodide). 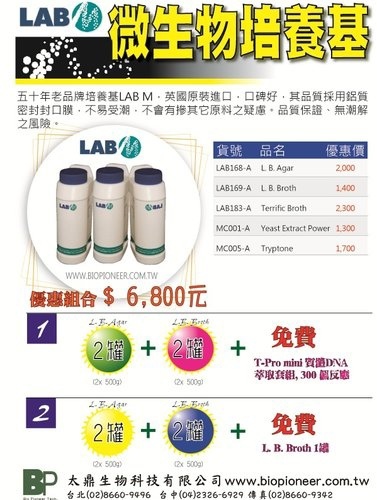 This product is distributed for laboratory research only. Caution: Not for diagnostic use .